Numerous updates—among them, a new map, a new figure of Hana “D.Va” Song and a new in-game skin for D.Va—were unveiled at Korea’s Overwatch Fan Festival on Wednesday, Aug. 22. The most major update is the addition of a Busan, South Korea map following the latest Overwatch cinematic short, which focuses on D.Va and takes place in her homeland of South Korea. It is a control map, which means that a team has to capture a specific point and hold it until the capture meter reaches 100 percent. The map has three locales: Sanctuary, Downtown and MEKA Base. 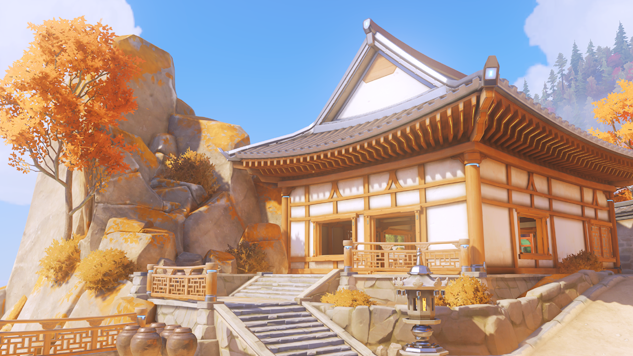 The map is already available on Overwatch’s Public Test Region (PTR) on PC. Watch the new map trailer below. Additionally, D.Va will receive a new in-game skin that was seen in the latest cinematic short. An employee at Blizzard Entertainment Korea who works on Overwatch shared a screenshot on Twitter earlier today, which you can see below. Finally, although nothing has been officially confirmed, a new figure for D.Va is reportedly on the way. A representative of Good Smile Company, which has created action figures of Reaper, Tracer, Genji and Widowmaker, confirmed to Dot Esports that the figure will go up for preorder a week from now on Aug. 29 (Aug. 30 in South Korea). The figure is based on D.Va’s look at the beginning of her cinematic short, and you can see an image of it here (via Dot Esports).